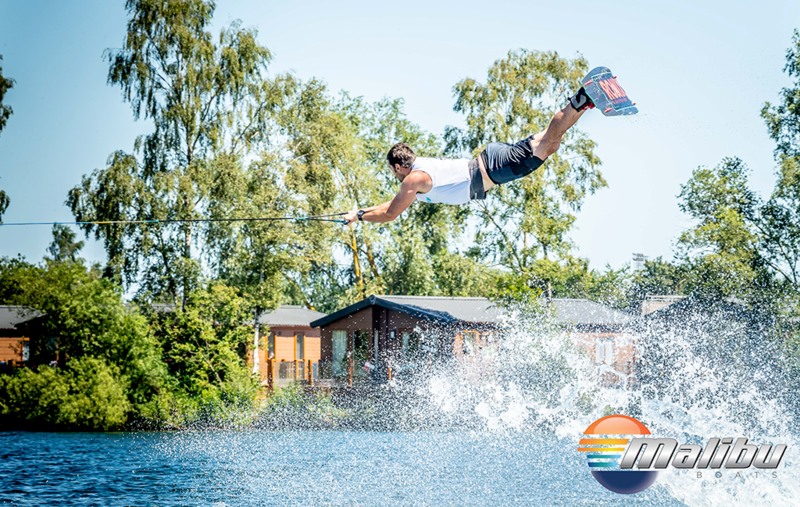 On June 30th 2018, the Malibu Boats UK Wakeboard National Championships returned to one of wakeboarding’s homes: Tattersall Lakes, also home to Castle Water Ski Club. Held annually for over 20 years now, the UK Nationals brings together the very best of UK riding talent across 11 separate categories battling out for the coveted title of National Champion. As title sponsor for the second year, Malibu Boats UK were in play again as the pulling power behind the weekend. 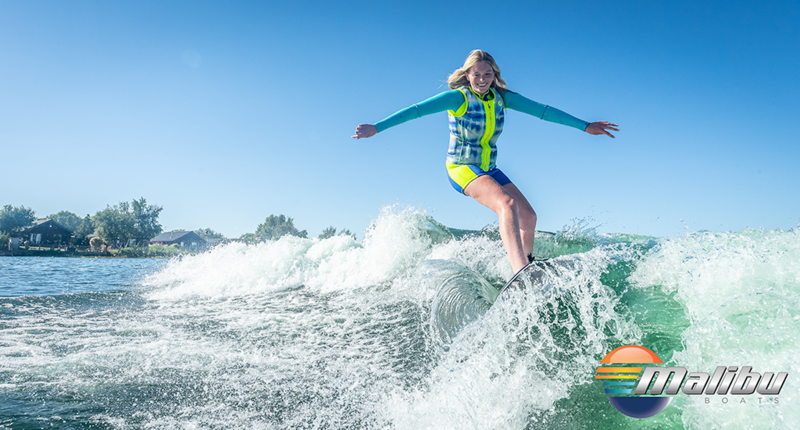 The incredible Malibu Wakesetter 22 MXZ wake-making machine was the chosen tow boat and not only turned heads on the shore, but gave every rider the best pull and ramp to launch off as skill and nerve was tested in this, as always, nail-biting weekend of riding action. Friday was set aside for practice ahead of the competition. 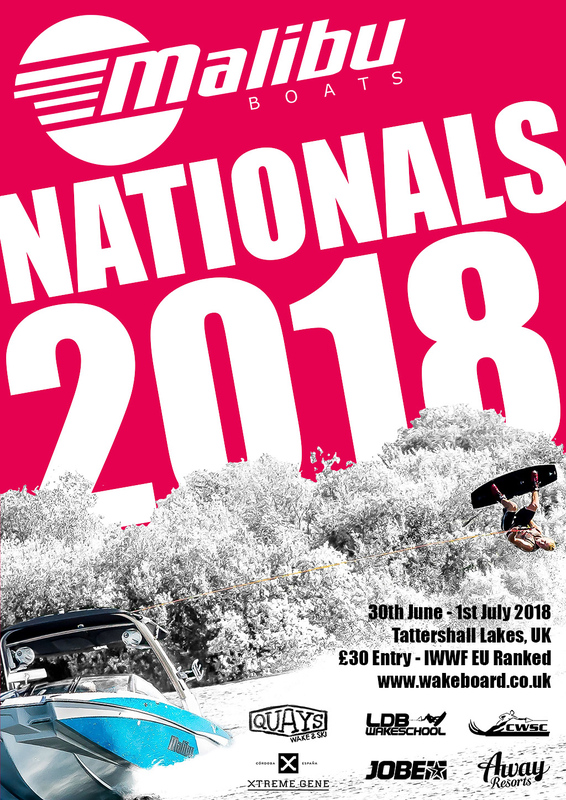 Malibu pulled out all the stops to support this most important of weekends in the UK wakeboarding calendar, and this started with offering free practice on Friday for every competitor. 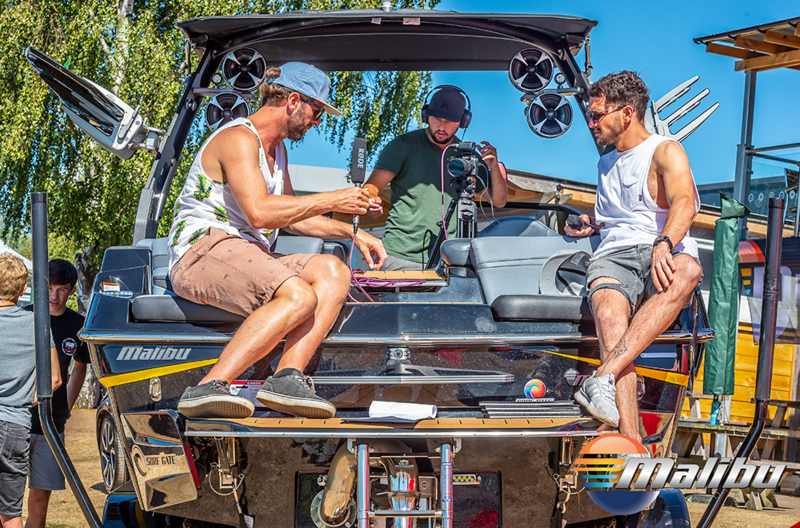 Not only did this give every rider a well-needed chance to get dialled into the Wakesetter 22 MXZ wake, sorting their speed and line length and generally getting their head in the game, it was also a full day of practice session driving for Ross and Rich Phillips. As well as both being contenders for top spots in the Masters category, these two are very much at the core of the UK Wakeboarding community, so to have them at the helm not only ensured the highest quality of driving for every rider but made for a friendly familiar face behind the wheel too, which added to any competition vibe! With most events in the UK we’re always bracing ourselves for the worst weather, but Mother Nature was having none of it this year with yet more blisteringly hot weather kickstarting Saturday’s qualification rounds and it was only set to get hotter, along with the action, as the day went on. The first day of competition certainly set a mean pace for the finals day to follow and, for that matter, any other contest in the UK from this point on. The site looked amazing courtesy of the support and efforts over the weekend from the sponsors including Malibu, of course, and Jobe as well as a ream of other local supporters. Alongside them, on the ground, working hard to bring everything together in the lead up and over the weekend itself were Wakeboard UK, the backbone of boat riding in the UK, and slaving away along side them, the Castle Water Ski Club team. The efforts from all these guys can not be overstated. Keeping the event on a party mode vibe, Matt Crowhurst and Dan Williams were on awesome form on the mics alongside DJ Glen Tortolano. The tunes were pumped out non-stop as well as plenty of banter with the crowd and, of course, amped up commentary on the equally exhilarating action on the water - all of which made for the very best atmosphere to get the weekend started. The intensity of entertainment on land remained right through the entire first day of action, meaning the finals day was going to go off! Mantis Pro Media were back at this year’s Nationals - but this time, along with Matt Crowhurst, took over the entire media operation. Multiple Facebook live streams throughout both days, mini-clips of riders and full edits of the highest quality and incredible action were all pumped out in real-time, resulting in the most high-quality, prolific media coverage UK wakeboarding has ever seen. 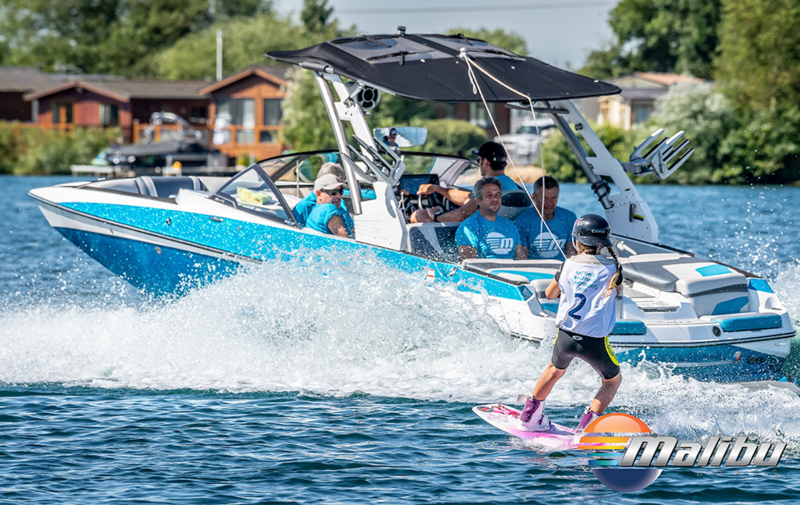 This facet, which is so important for any event and is often overlooked, only added to the weekend being the best boat contest in wakeboarding’s history here in the UK. Not all the action on the water was competitive...on Saturday night, the wakeboard boat was instantly flipped into wakesurf mode using the Malibu Integrated Surf Platform, and a demo session was held with riders such as Nancy Creedy showing everyone how to make use of the Wakesetter’s gigantic endless wave in style. With only food and liquid based sustenance left to see the sun go down, everyone was well and truly set for finals day. With over 50 riders entered to this years Nationals, from the Groms to the Vets, Last Chance Qualifiers and then finals rounds to blast through on the Sunday, it was all go from early on. Many of the riders had been putting themselves through their paces in the lead-up to this weekend, with intense training and/or a hectic contest season making for a balancing act of peaking at the right time and not burning out. Such is the case with our sport - many of the UK athletes‘ summers are manic and several of the riders competing in the event flew in just days beforehand. Charlotte Bryant, Dan Nott, Sam Carne and Luca Kidd are all examples of where riding can take you if you work ridiculously hard, and these four amongst the Open Men and Women’s categories all flew in especially to fight for their respective British title and to continue to support the UK scene. The close-fought battles were definitely not just reserved for the Open categories though, with some serious skill on display from all riders, starting with the Junior Boys to get Finals day going. The real fight here was for second and third as Joseph Humphries is seemingly unstoppable, taking another title home! Aside from, well, pretty much everything about this Nationals weekend being noteworthy, what also stood out was the number of new faces taking to this big stage in the junior ranks. Although Jemima Cutts and Baye Hoctor Duncan didn’t make it easy for Emily Reid, she managed to improve upon her great qualifying round's riding to take top spot in the Junior Girls. There was a bit of sibling rivalry amongst the Groms where boys and girls go toe to toe in the same category. On this occasion, Charlie Lloyd took the top spot out of the Lloyd siblings, with Sianna Darby taking second - separating Charlie from his sister Isabelle in third. With a huge amount of support from the South West crew, which had come in force to this years Nationals, Mark Goldsmith was relentless in his pursuit of Masters 2 title - the many hours he puts in on the water coming good when it counted. Another rider who has put the time in is Mitch Wise. This kid is a crazy talent and having been in a growing pot for the past couple of years has now acquired the strength to really charge on the water, which is exactly what he did on both contest days, taking home the Junior Mens title just ahead of his fellow Midlander, Nathan Darby who was also riding out of his socks. It seemed that the Midlands crew have quite the mass of extremely talented young riders, with yet another title going back to this part of the UK courtesy of Melissa Lock’s efforts in the Junior Women. The Masters categories have become the good time crews on the dock with such a fun atmosphere to be a part of. Maybe it’s a 'been there, done that' kind of attitude, but in spite of this, the competition is still just as fierce. Emma Pickard went on to retain her Masters title ahead of Sarah Kingdom and Emma Phillips. With Sam Carne jumping into the drivers seat for the Phillips brothers, it was time for the Masters Men to go at it. The riding has become seriously competitive in this category, added to hugely with UK riding legend Jonty Green joining the mix, and World Wake Park Masters Champ, Dale Crossley. With solid runs from Dale and Ross, Jonty was second to last off the dock and laid down the run of the weekend leaving Matt Crowhurst with a tall order indeed. Matt couldn’t quite pull it together but did enough to take second ahead of Ross Phillips and behind Jonty, taking his first UK Masters title. With just the Open divisions remaining, the crowd amassed, music pumping and our MC’s Matt & Dan getting everyone even more hyped. The Women were to get into it first, with current National Champion Katie Batchelor looking to hold off multiple former National Champion, Charlotte Bryant. Charlotte knew she couldn’t go with an easy run and this was her undoing, taking a couple of falls and leaving the door open for both Charlotte Millward and Katie to get in ahead of her with 2nd and 1st respectively. Come the Open Men and it’s hard to ignore the buzz about one of the riders in this category, Luca Kidd. Not to take anything away from the rest of the field with a mass of Nationals and Europeans titles and podium places between the likes of Dan Nott and Sam Carne, but Luca has really taken the world by storm. Since moving to Florida two years ago, his riding has been a cut above. Having said this, Sam was his usual stylish technical self on the water but unfortunately with a couple of falls. Dan put two ridiculous clean passes together which still just wasn’t enough to stop Luca from taking his second Open Mens National title. An amazing high to finish on as far as the water-based entertainment was concerned, but not where the party stopped. It was podium time and the best round-off to any contest ever, courtesy of some incredible, and quite manic at times, time-filling and crowd pumping-up from MC’s Matt and Dan. The prize-giving was the perfect sign-off to the contest - a celebration of all that is so spectacular about UK riding. There are far too many people to thank for bringing this unreal weekend together but here’s a snap shot; Malibu Boats UK, Malibu & Axis Boats Europe, Jobe Water Sports, Xtreme Gene, LDB Wakeschool, Quays Wake & Ski, the entire Wakeboard UK crew, Swallowmax Creative Print, Castle Water Ski Club and their team, and Tattershall Lakes Country Park. Drivers Ross & Rich Phillips and Sam Carne plus LDB, Colin Hart and all the judges, calculators, dock crew, Matt Crowhurst & Dan Williams on the mics, Glen Tortolano on the decks and Mantis Pro Media.